Separate the information describing your product from the information supporting the creation of the product description. When developing a product, you create the product description. But in doing so, you also create a lot of information that is important, but not really part of the product description. By consciously separating the two you can better focus on the task at hand by filtering out what's of no interest. It improves understanding and creates transparency. Consider "rationale". Sometimes, it is useful to record the rationale for a design decision. You may be tempted to just create field "rationale" on your design item, but this is not really part of the design. Instead, attach the rationale as meta data to the design item. This allows you to time stamp the rationale, and to evolve it. 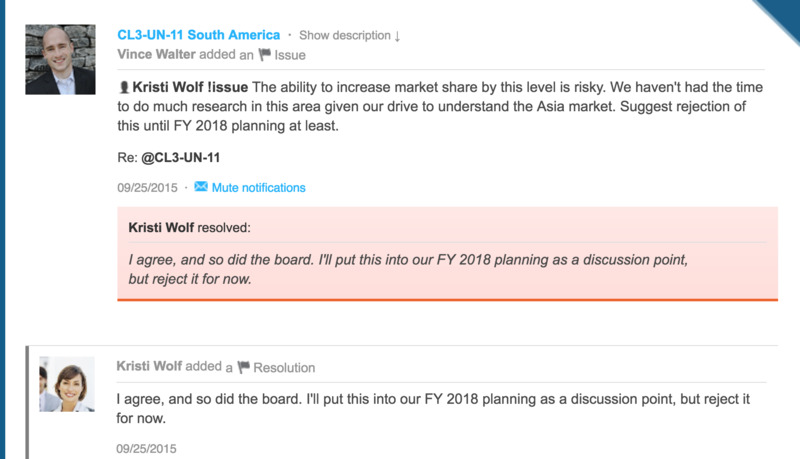 Should this issue come up again, then the discussion is found in the audit trail concerning the South American market strategy. You find this approach in many modern web tools. For instance in gitHub (besides the just shown Jama Connect). Requires users to clearly understand these concepts.